I'm Kensuke, owner of Broken Doll Japan. 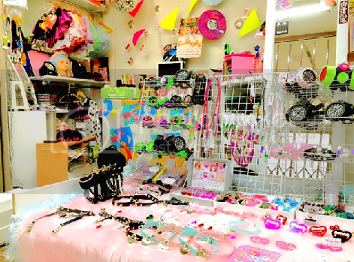 Welcome to the Broken Doll's international store featuring handmade items of the latest Japanese Kawaii Punk world! Our items fit the styles of Kawaii, Cool, Cyber, Goth, and Rock! Broken Doll has made magazine appearances in KERA (U Kimura, Haruka Kurebayashi, JUNNYAN), Tokyo Fashion.com, Zipper, FRUiTS, TUNE, Japanese Streets. I can ship internationally through EMS from Tokyo. Payment is available through Paypal and Credit Card. Introduction of my store Tokyo,Japan. Heart Switch Ring (Japanese Handmade accessory) Cool Geek Fashion!